When putting together a company car or van fleet, it’s very easy to concentrate on how much you are paying up front for the vehicles. On the face of it, successfully negotiating a discount on the sticker price or very low monthly rental is very satisfying and you might think it is job done, time to move on to other things. But before you leave your shiny new fleet to its own devices, you need to consider a very important, and potentially expensive factor: total cost of ownership. Total cost of ownership (TCO) is the true expense of running your fleet, and not just the purchase cost, or the monthly leasing rate, but every other expense that vehicles will incur in their working life. And there are quite a few. For example, you might decide to outright purchase, and get a great deal on a new car, with a massive discount off its advertised price. But this could well be hiding a number of issues. It is expensive to tax (and there are employee and employer tax costs to consider)? Is it expensive to insure? Does it use a lot of fuel? Is it unreliable and undesirable on the used market? The result could be that after three years, you’ve spent a fortune on tax and fuel, wasted precious time and money with it sitting at a dealer being repaired and then when you come to sell, it isn’t worth much and as a result, that discount you negotiated at the start has been nullified, and then some. 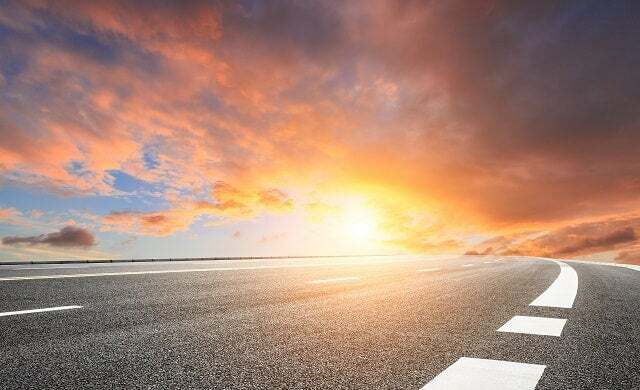 With leasing, the financial effects can be the same, albeit some of the risks are mitigated by the leasing company shouldering the used risk and possibly lessening the reliability costs with service packages. But two cars, costing the same on a monthly basis, can still be vastly different in TCO. So here’s what to look for, and how to assess and limit TCO. Depreciation is the principle component of total cost of ownership, and is the place you should start, because it nearly always proves to be an indicator of other issues. The used car sector is incredibly knowledgeable and it understands every car, van and brand inside out, so the predicted used price in three or four years’ time has been reached by looking at all factors related to that vehicle. A higher predicted residual value, more often than not, suggests a vehicle that is economical to run (relative to its competitors), reliable and popular. But be careful at de-fleeting time (the process of getting vehicles ready for auction or resale), because while leasing companies will have set a predicted used value at the start of the contract, it assumes the vehicle comes back in the condition they expect. If your employees have not looked after their cars and vans, you could be liable for end-of-contract charges to get them back to the standard they need for resale. Find out exactly what condition they expect at end of contract, and monitor your vehicles’ wear and tear. Companies such as FCA have dedicated staff whose job it is to ensure that each vehicle is as attractive to the used market as possible, with the right engines at the right price, with all the features you would expect of a model at a particular price point. They work very closely with the leasing companies and firms which provide independent guides and analysis to used prices to ensure the cars are priced and specced properly to be attractive not just when new, but when they are a few years old. And how drivers drive them. The choice of engine – diesel, petrol, electric or hybrid – is fundamental to your costs, but you need to know what each vehicle is to be used for. As an example, it might be that a car driving around a city doing lots of short trips is more suited to a petrol engine, while a long distance, high mileage motorway driver needs a diesel. Suppliers can help profile this for you. A very simple fuel saving measure is to ensure all tyres are inflated properly – underinflated tyres can use as much as 15% more fuel. It also might be worth talking to fleet companies that offer fuel management packages. This can not only streamline expense claims but give you very detailed analysis of what you are spending on fuel from month to month, and whether you have any anomalies, either with vehicles or drivers. Then you can decide what action to take, in the form of training or limiting purchase to certain outlets where possible (motorway services are generally more expensive for fuel than supermarkets, for example). The packages can also give you evidence on which vehicles really perform in the conditions in which you use them. Obviously, cars and vans with good insurance ratings are going to be cheaper to insure overall. Taking out a fleet insurance policy, rather than individual policies on each vehicle, may well be a cost-effective way of driving down insurance cost. Insurance companies have tailored fleet programmes for small businesses that come with added extras such as accident management, windscreen repair and claims help. But whatever insurance policy you choose, you need to understand your risk first. So you need to put in place a risk assessment (probably with the help of your insurer) to analyse your claims history and highlight areas for improvement. It might be that you need to implement some driver training, or increasingly, fit telematics into the vehicles so that drivers understand their responsibilities and you know that any incident will have evidence that can help you in a claim. Service maintenance and repair rates can have a big impact on the cost of ownership, and monthly leasing payments too. An interesting exercise, even if you have yet to decide whether to lease or buy yourself, is to compare the full maintenance packages from leasing for competing vehicles because you’ll soon get a very good understanding of their view of the reliability and service you can expect. Because they have thousands of cars and vans on their books, they know minutely which run well and get great service from the dealer network – and this will be reflected in the maintenance package cost. The calculations for these are based on normal driving over a variety of road conditions, and will include all consumables, such as sets of brake pads and discs, tyres and oil, and other general servicing and labour rates. There is also often a contingency built in, for those problems that are unforeseen. You may not choose to sign up to one of these packages but it’s worth considering that a leasing company will have huge economies of scale and ability to negotiate SMR deals that you cannot. Then there’s vehicle downtime: every hour a car or van is off the road impacts on your business in lost working time. So investigate dealers’ networks and their geographic location, so that they are suited to your needs. Everyone knows they have to pay varying levels of Vehicle Excise Duty on their cars and vans, relative to their CO2 level, and company car drivers will have to pay benefit-in-kind tax too, but an often-forgotten part of the total cost of ownership are National Insurance Contributions (NICs). And BIK (Benefit in Kind) rate, determined by CO2 emissions and fuel type. The level of NI contributions is also determined by an annual percentage rate which is announced in the Budget – and which is currently 13.8% in financial year 2018/19. The basic calculation to determine the amount of Class 1A NICs payable is: P11D value x BIK rate based on CO2 x 13.8%. You can make your life easier by using a company car tax calculator. TCO calculations also include some other costs, such as the interest accrued on the funding you arrange, management fees or outsourcing costs, although these will obviously vary dependent on how you choose to run your fleet. The FCA Group acknowledged the prevailing fleet priority of TCO 18 months ago by creating a new dedicated role of TCO manager. The company’s objective was to ensure its cars and vans were fully understood by market influencers so they became a competitive proposition for fleet choice lists. 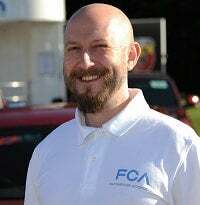 Chris Lovegrove duly took up the challenge, drawing on his experiences in aftersales, dealerships, network development and at the head office during his 14-year career with FCA. Lovegrove is responsible for all elements of TCO, but primarily the ‘big three’: depreciation, maintenance costs and fuel – although his influence over the latter is restricted to ensuring FCA has the right engine derivatives for the market and any eco packs are incorporated into standard specification where possible. Nowhere exemplifies the improvements that FCA Group has made on its communications and ownership costings than the van sector, where the company has enjoyed huge success over the past few years. The company has turned its attention to the retail and small and medium enterprise markets. Small and medium enterprises are more emotional with more powerful engines and higher trim level requirements, such as air-con, parking sensors and navigation. “We have to understand this market when it comes to total cost of ownership,” says Lovegrove. “It’s where our value-added proposition on our trim specifications can really give us an advantage. The FCA website is also playing an important role in communicating key cost of ownership messages. Lovegrove is working on a TCO comparison tool to add to the existing benefit-in-kind calculation to improve the level of information and advice provided to fleets.